The National Center for Lesbian Rights (NCLR) and the Gay, Lesbian, Bisexual, Transgender and Queer Legal Advocates & Defenders (GLAD) filed a motion on August 9, 2017 for a preliminary injunction. 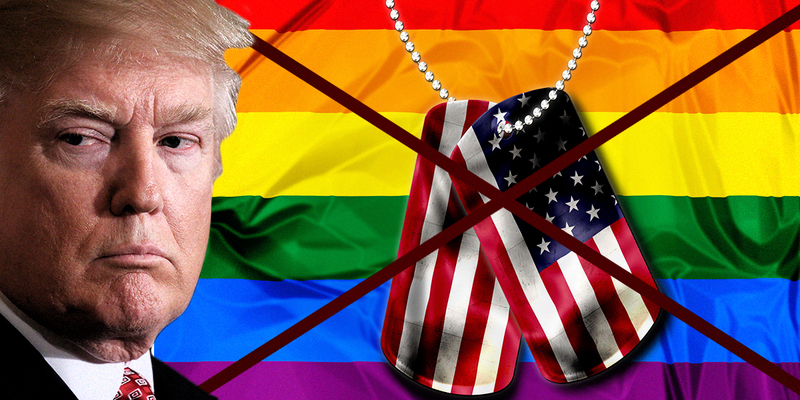 The aim was to block the order, which would prevent thousands of transgender people who are already serving in the military. NCLR and GLAD also asked to block the ban on government funds for gender reassignment surgeries. However, the last motion was denied.
? Dying Professor’s Last Lecture Inspires You To Achieve Your Childhood Dreams (Video) Shocking: Photographer Captures A Sea Of Plastic Floating Near Caribbean Island ?